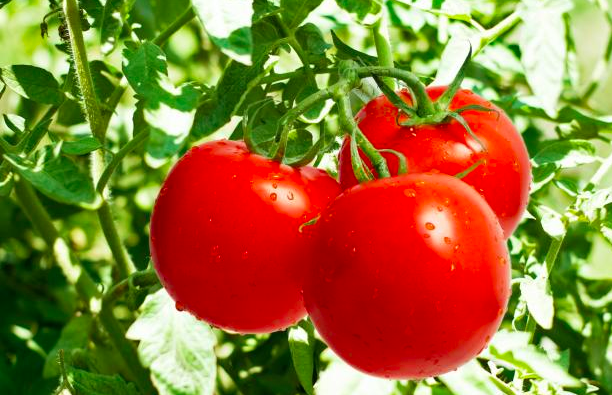 Originally, the first tomato was the cherry tomato , popular today in cocktails. The many varieties that we know today must derive from this variety. From the Solanaceae family, such aspotatoes, the pepper , the eggplant and tobacco, this vegetable-fruit carries the name botany of Lycopersicum esculentum, or of Solanum lycopersicum . 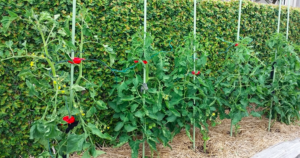 The root system of the tomato is of pivoting type, being very dense and branched on the first 30 centimeters, to reach then one meter of depth. The stem of the tomato is angular, thick at the internodes and pubescent. Of grassy consistency at the beginning of growth, it tends to become a little woody with age. The habit of this plant is erected at the beginning of growth, then becomes drooping or semi-drooping as the growth and branching of its stems progress, requiring the presence of a guardian to maintain itself. The axillary buds of this plant give rise to successive ramifications, while the terminal buds produce flowers or abort. Its stem and its leaves bear hairs which contain an essential oil which gives its characteristic odor to the plant. 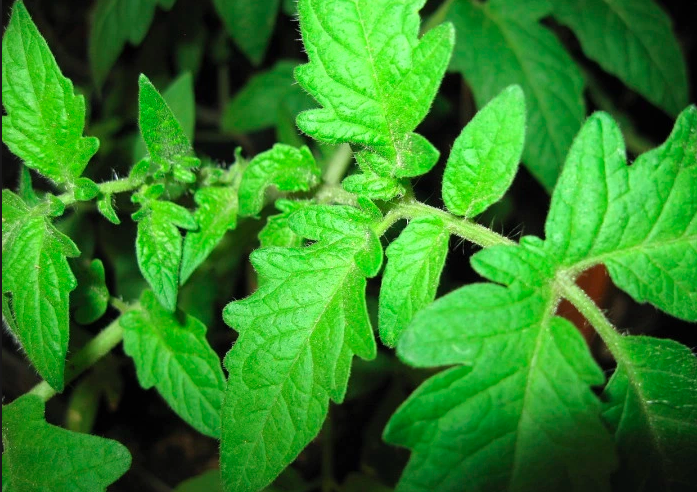 The leaves of the tomato are alternate , 10 to 25 cm long, composed and include 5 to 7 leaflets with very lobed lobes. Tomato is a herbaceous plant. It is perennial in hot climates , but generally grown as annual. It is a plant with indeterminate growth, each of its floral bouquets being separated by three leaves, the plant can then grow indefinitely. 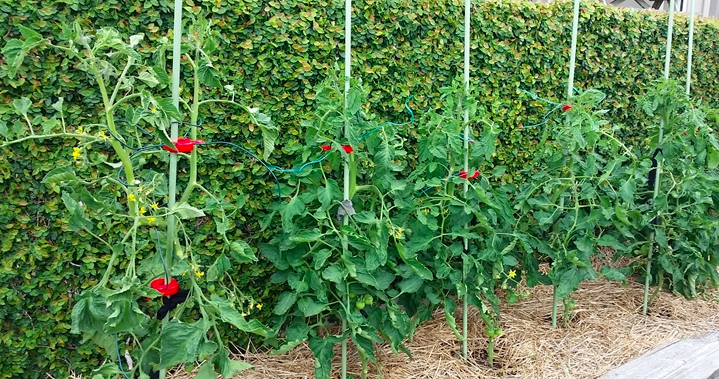 There are also varieties with fixed port, its inflorescences being separated by two leaves, then a leaf, before ending up in the terminal position on the stem. For these species , growth continues not on the main stem, but on secondary stems that grow in the axils of the leaves. 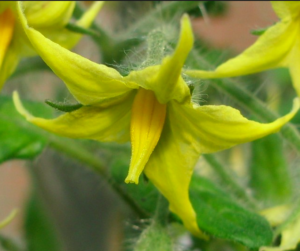 The flowers of the tomato bloom from late May to September in the northern hemisphere and from late November to March in the southern hemisphere. They are actinomorphic with pentamer symmetry. Their calyx, which has five green sepals, is persistent after fertilization and remains at the top of the fruit. Their corolla has five bright yellow petals, fused at the base, often reflected backwards, forming a five-pointed star. Their androcée has five stamens. Their elongated anthers form a cone constricted around the pistil. 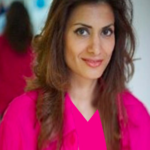 It consists of two fused carpels, forming a double biliary superior ovary. 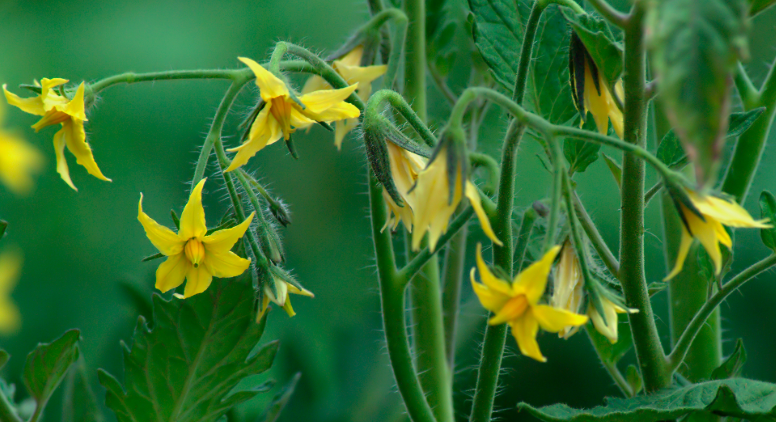 Note that in some varieties of tomatoes , the ovary is plurilocular. These are berries normally with two boxes, sometimes three or more, with very many seeds. The fruits are very varied in size, shape and color. They can weigh just a few grams, such as tomato currant, or up to almost 2 kg! The seed of the tomato is small (250 to 350 seeds per gram) and hairy, with epigal sprouting. Olericulture Specialist, Ph.D. Texas A&M.